The final goal is to train a group of ‘smart house ambassadors´ who can, in turn, help their neighbours with various issues (e.g. how to operate their smart home systems) by explaining the tools and the advantages of smart living. The theory behind this exercise is that people are more willing to learn from friends and neighbours, rather than reading instructions and manuals. 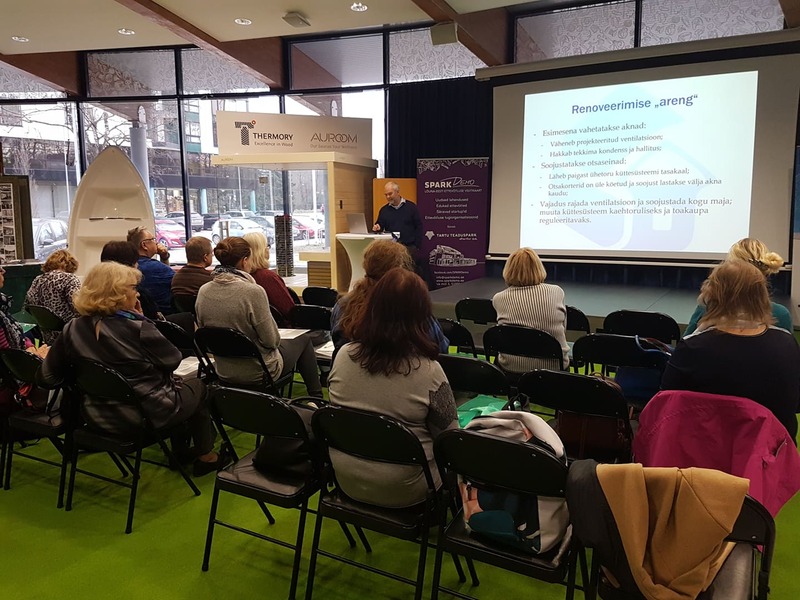 Thus, training a group of smart ambassadors will help to serve not only the pilot area community but also Tartu as a smart city by encouraging citizens to an active participation and promoting smart lifestyles. The topic of the first lecture was dealing with expenses but it also covered a wider variety of issues, such as how to live in and make use of a smart house or apartment, how renovation affects household expenses, the efficiency and mechanics of solar panels, energy-efficient lighting, etc. The next lecture will take place on 22nd April and will address indoor climate of houses and also include a practical group work session. The trainings will culminate in the public pilot area summer event on 29th May, where the ambassadors will be awarded with diplomas and various prizes. The social innovation initiative was conceived and is led by project partners the University of Tartu, Tartu City, Tartu Regional Energy Agency and the Institute of Baltic Studies.